***Former Model Home gets a Beautiful and Complete Remodel***HUGE Natural Light Filled Tri-Level with every attention to detail made to this traditional home that backs to the High Line Canal. Perfect for today's lifestyle and the finishes are fresh and modern. Updates to the home include a NEW Roof, Gutters and Stucco, New Exterior and Interior Paint paint, Completely NEW Kitchen with Center Island, White Cabinetry with loads of Storage, Granite Counters, Stainless Appliances and Skylight. New Tile, New Carpet New Pad. Baths are all Remodeled and Updated as well. Remodeled Heat producing Fireplace in the Great Room and Wet Bar added. Newly Remodeled SunRoom adds loads of square footage not mentioned in the current Square Feet or Gross Living Area. Seperate Entrance to what could be used as an Office/Mother in Law Unit/Teen Retreat/5th Bedroom or ??? HighLine Canal for ez walking and biking. 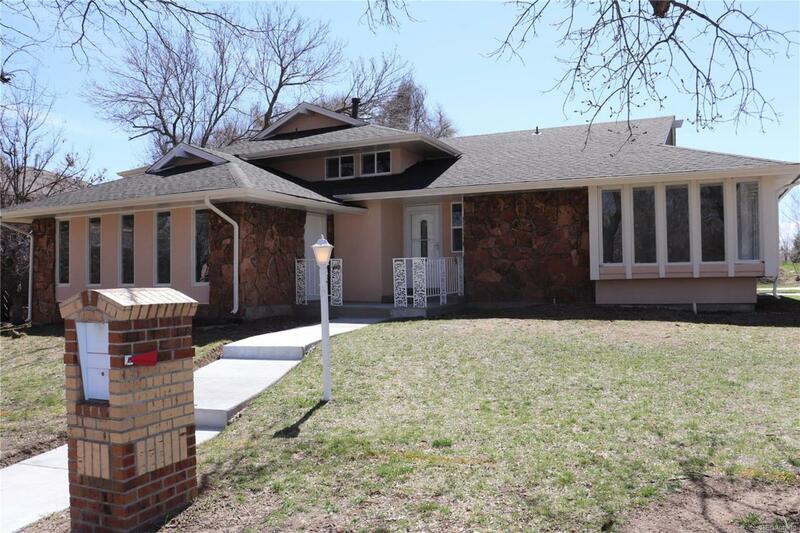 Desirable southeast Denver location with easy commute to downtown, Lowry and Cherry Creek.